Transmission Remote GUI is an excellent front-end to remotely control your Transmission daemon. By default, Transmission has its own Web UI that you can access from your browser. With Transmission Remote GUI installed on your notebook or desktop computer you can easily control the Transmission daemon running on your server. 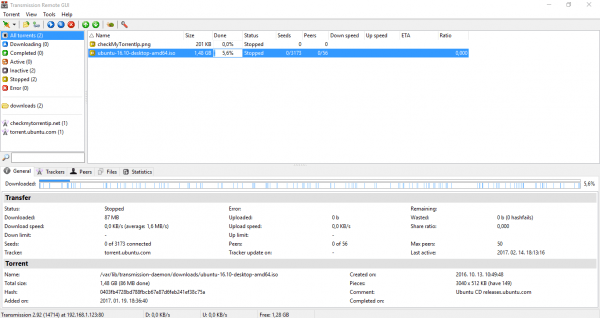 It is very similar to Deluge ThinClient mode, and the interface is very much uTorrent like. 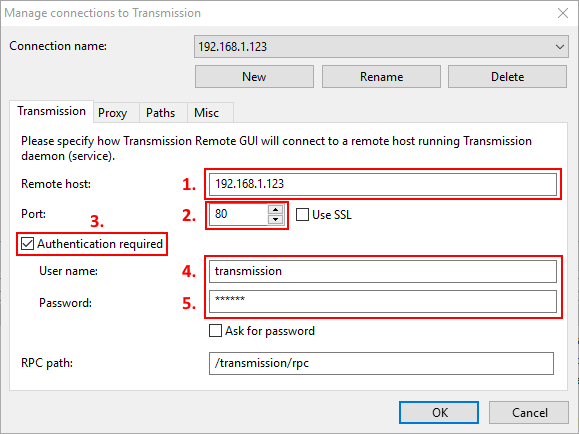 Once you have the Transmission daemon configured and running on your server, you can proceed to install Transmission Remote GUI on Windows. 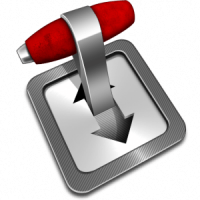 Note: Transmission Remote GUI is available as a native application for Linux and Mac OS X too. 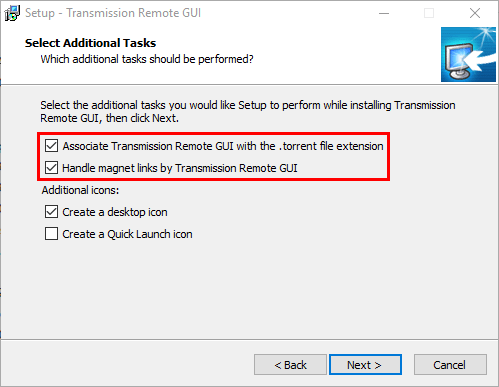 On your Windows installation download the installer from the official Transmission Remote GUI page. Start the downloaded executable file and proceed with the installation. This will open Transmission Remote GUI if you click on .torrent files or a magnet link. No need to download torrent files or copy links into Transmission Web GUI anymore, much more convenient way to handle torrents. Click Next and finalize the installation. You will see the New connection to Transmission window on application start. Here we will configure connection to your server running Transmission daemon. Click OK, Transmission Remote GUI should now connect to your Transmission daemon. Congratulations, you have configured Transmission Remote GUI. As you can see on the below screenshot, it looks very similar to uTorrent (older versions). You can manage your torrents and Transmission settings easily using the nice and clean Graphical User Interface.